It’s easy to do ordinary work. To go to an average job and just do what everyone else is doing, no more and no less. To be just another anonymous sheep in a big flock of sheep that all look, act and speak the same. 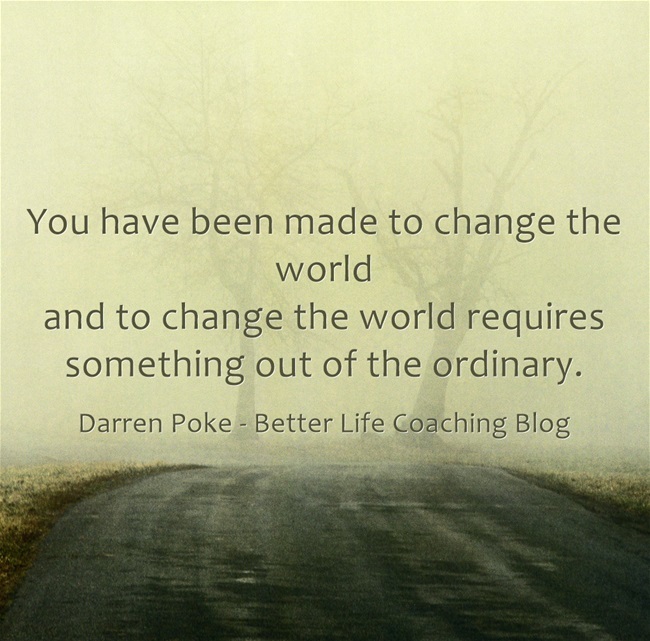 But you have been made to change the world and to change the world requires something out of the ordinary. It requires a bit more passion. A bit more creativity and flair. A bit more risk taking. A bit more persistence and resilience. It requires you to fully develop your skills and to work in a space that enables you to utilise them on a daily basis. Are you willing to give us something out of the ordinary?